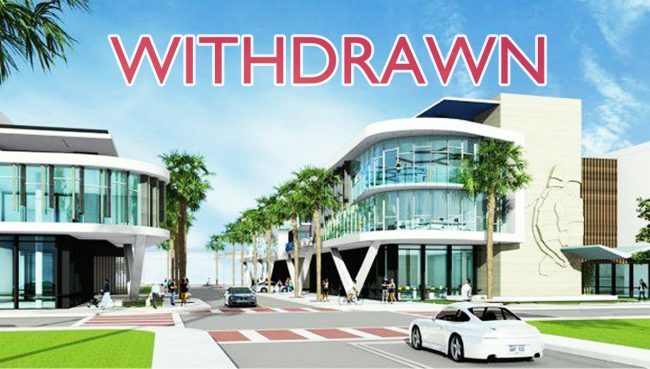 UPDATED, Nov. 9, 5:38 p.m.: A joint venture between Pointe Development and Monceau Realty withdrew its bid for a public-private partnership in Surfside after facing opposition from residents. In September, the developer received the votes to move forward with the $33.5 million project that calls for a new town hall and civic center between 87th and 96th streets. But a group of residents moved to kill the bid ahead of a meeting scheduled for Tuesday, a spokesperson said. Maurice Egozi, principal of Pointe Development, said commissioner Michael Karukin planned to vote against the project, in addition to another commissioner who he did not name. Denyse “Tricia” Fowley, a Surfside resident, said the proposed project was “a great big wake up call” to the residents of Surfside. “This project has created strong feelings because what we have found is that a large number of residents are NOT in favor of changing the Town Charter and Zoning to give away all of our municipal property,” she wrote in an email. The proposal called for a new police station, Class A office space, retail and restaurant space and public parking. The development would have been built on the current town hall site at 9293 Harding Avenue and a municipal parking lot at 269 93rd Street. Egozi said the developer invested hundreds of thousands of dollars into the project so far, and that he is considering other options, which may include taking the project to a referendum. Under the proposed public-private partnership, the town wouldn’t pay for the project. The 99-year ground lease would be for the office, retail and parking components of the project. The developer would pay a base rent plus a percentage of gross revenue from the 431-space public parking garage. Luxury development has ramped up in Surfside, where led property values jumped 43 percent — the highest increase countywide — to more than $3 billion last year. “At the end of the day, this was a very good deal for Surfside and for us,” Egozi said.